Thought Ensemble | Practical Insight. Moving Performance. Taking on a business transformation can feel overwhelming, and it’s normal to question whether your team has the right skills, experience, and time amidst their operational responsibilities to manage the effort; after all, you’re not in the business of transformation. You probably feel that with the right advice, approach, and assistance, you and your team could close the knowledge and bandwidth gaps to move the company forward. This is where we come in. We help reduce the risk, stress, and frustration associated with transformations by providing you with a team of battle-tested, senior-level resources who will help you accurately scope, plan, and execute your most critical initiatives. Thought Ensemble has partnered with clients ranging from startups and spin-offs to Fortune 200 companies. Through our experience, we’ve developed a different way of looking at transformations. We look through a set of lenses to plan and execute any transformation. Strategy is more than just something we talk about; it is at our core. We always start there – seeking to understand the “why” behind every initiative – no matter the size. Then we consider how to achieve success by looking at problems holistically. We pride ourselves on truly understanding the goals and challenges our clients face and then helping them build or enhance their strategy from there. Our partner-level team members actively participate in project delivery. We bring senior teams to every project, to ensure the right experience for the job, and we can pivot resources throughout a project if additional expertise is needed. We support and challenge each other to get to the best solutions for our clients. We build and evolve our hypotheses openly with our clients (“on the whiteboard”), not isolated from them. We feel comfortable offering up our ideas as they are forming and inviting constructive debate from our clients and the broader ensemble to evolve those ideas. As a result of our inclusive approach, our clients understand, own, and fully support the final recommendations. Our abilities to execute on a plan are as strong as our abilities to come up with one – and we strongly believe this pairing is what helps our clients achieve success. We run truly excellent meetings in person and virtually. We consistently create outstanding deliverables that are customized, analytical, pithy, and polished. We do what it takes to get work to the finish line at a level of quality far beyond the competition. 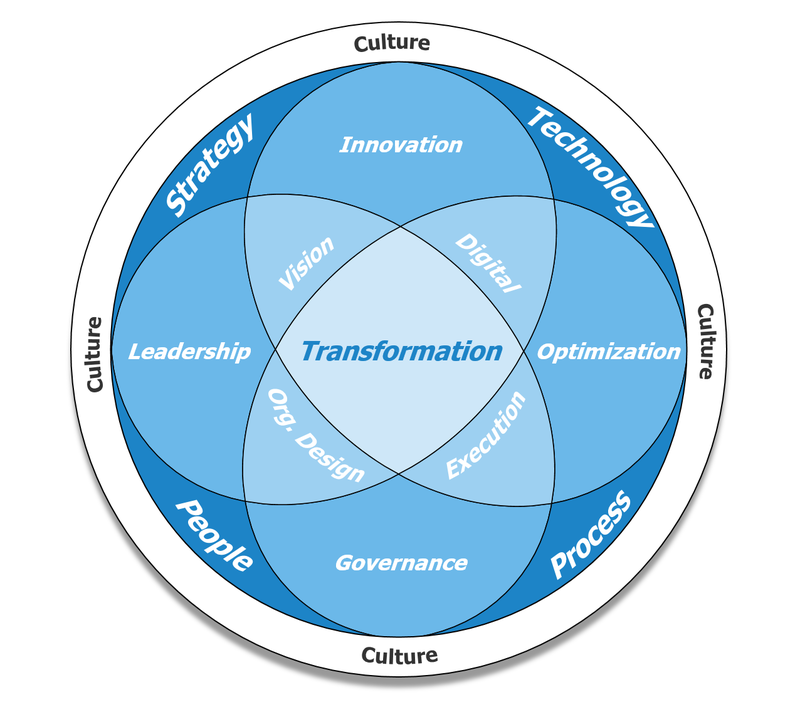 Thought Ensemble’s approach and frameworks work equally well across a wide array of industries. We’ve been fortunate enough to work with companies ranging from banks to manufacturers and from educational firms to insurance companies. Our expertise in transformations paired with our client’s industry expertise has proven to be a powerful combination.